Such a yummy colour combo and love the pattern in the circle. 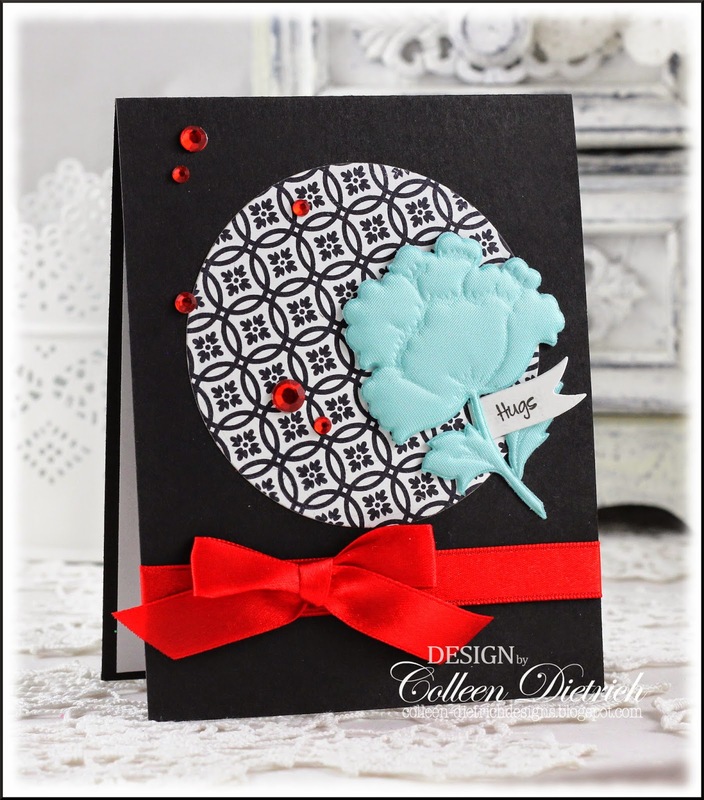 Way to rock the colors...your card is gorgeous! Bright and happy Colleen! the colors are striking! Bold and beautiful. Maybe out of your comfort zone but I never would have guessed that. It's beautiful; I am in awe of the flower you used! The bright red ribbon on black certainly is bold and I love it! Perfect with the graphic pattern on the circle. The flower is gorgeous, and I love the little tag attached. Frankly, I'm blown away by both! It's not fair that you can design two gorgeous cards when I can barely come up with one. Your work is fantastic, Colleen! What a beauty, Colleen! 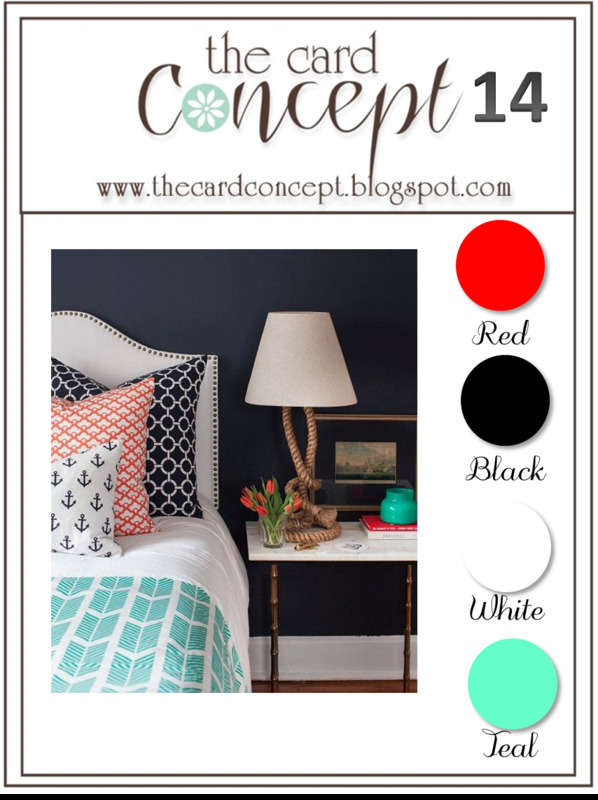 Wonderful color combo and great design! I especially love the aqua flower...so pretty! Love this card. It is Gorgeous! Thanks for the card you sent, it is lovely too! Great colors together Colleen. Love the flower and the hugs sentiment (of course). Lovely card. Hugz!